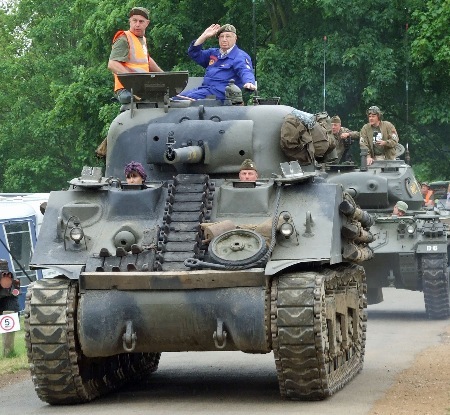 The fifth Wicksteed at War show on June 12-14 was the biggest and best yet with plenty of armour, including main battle tanks. And for the first time, an extra day was added to get youngsters involved. 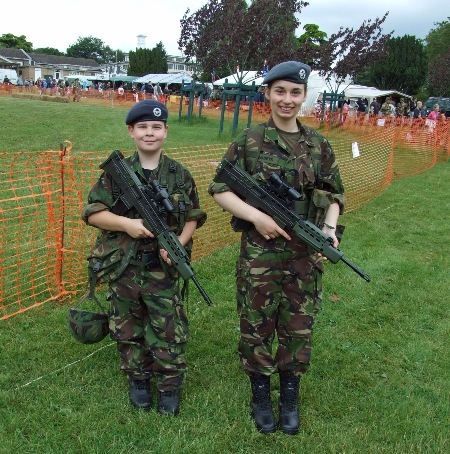 The park, near Kettering, Northamptonshire, is run as a charitable trust and joined forces with the MVT’s South East Midlands Area to put on the show. 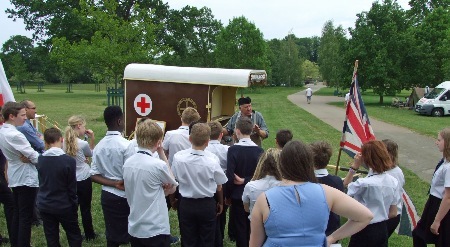 The Friday before the show proper was designated Education Day and hundreds of Northamptonshire schoolchildren descended on the Grade One Listed theme park, the second oldest in Britain, having opened in 1921. 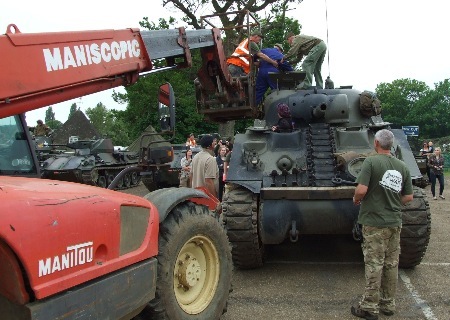 They got to talk to the owners of the vehicles as well as veterans from the Second World War. 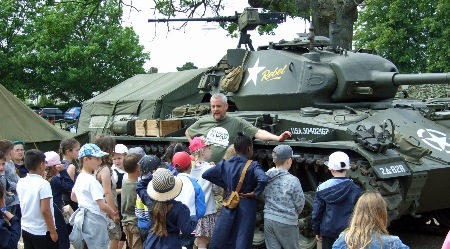 The highlight on Friday for most was the visit of 89-year-old Arthur Jones, a Normandy veteran who drove Shermans in the war. 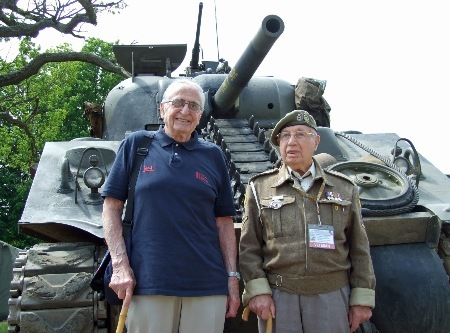 He wanted to see a Sherman and a friend brought him down to Wicksteed at War. 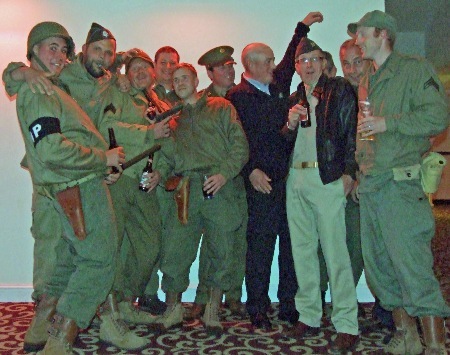 But we had a surprise in store for sprightly Arthur…. 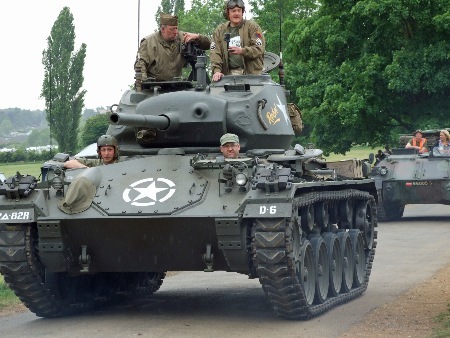 A Sherman used in the recent Brad Pitt film Fury was on hand so Arthur's wish could easily be fulfilled. But we wanted to go one better. 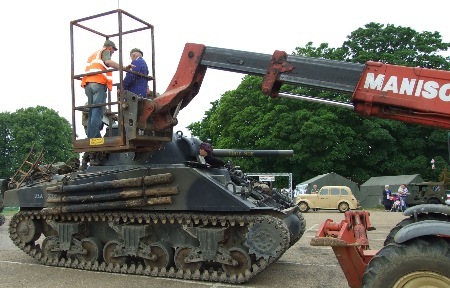 Wicksteed Park provided a front loader fitted with a "man cage", completed risk assessments and method statements, checked the insurance and we were able to pick up Arthur and deposit him gently into the turret of the tank. Arthur's experience didn't end there. 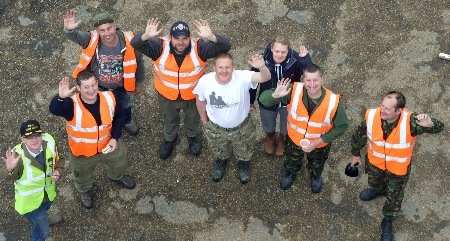 Members of the SE Midlands Area had attended a special tracked vehicle marshalling course and, with a hi-viz orange-jacketed shepherds guarding each corner, the venerable 33-ton tank went trundling around the park with Arthur delightedly waving from the top. 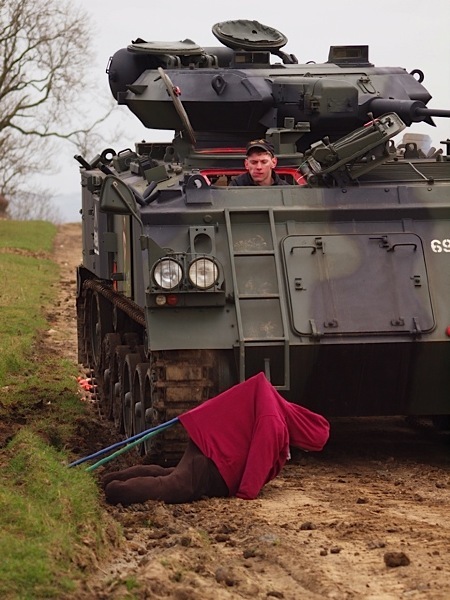 "I thought I was coming to look at a Sherman," said Arthur. "I never dreamed I'd be able to ride on one. 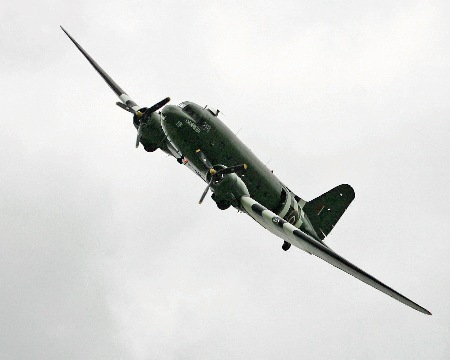 It's been a fantastic day and I can't thank the organisers enough." 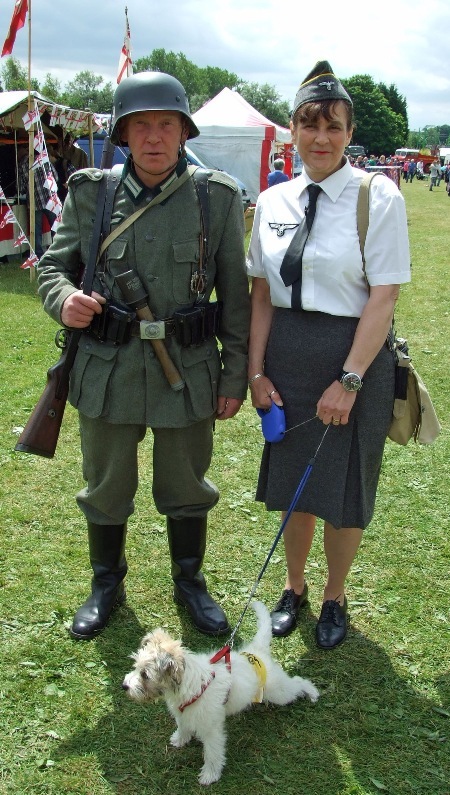 Apparently it was a German shepherd dog in disguise . . .
Best in show (sponsored by Adrian Flux): Rob Bailey for the collection of vehicles he brought but especially the arena display of his DROPS Foden with a pallet-mounted 432. 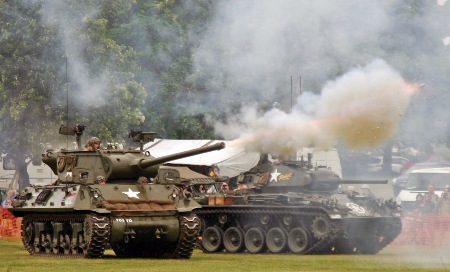 MVT Rose Bowl (Sponsored by the SE Midlands Area): Stuart Gardener’s Centurion tank (pictured above). 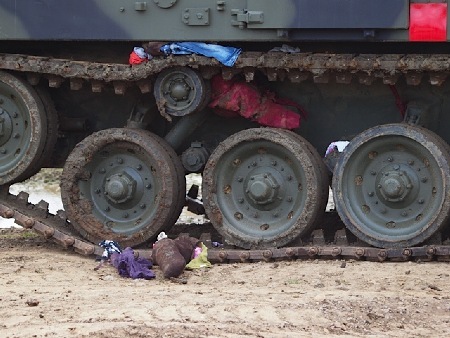 Best Armour (sponsored by the MVT): Chris Till for his Chaffee tank. Best light pre-45 (sponsored by Westaway Jeep): Heather Bailey for her Standard Flying 10 RAF staff car. 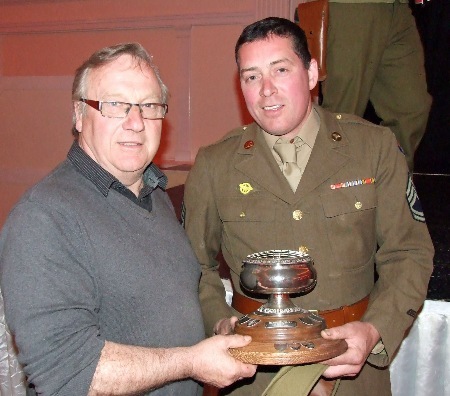 Best heavy pre-45 (sponsored by the MVT): Stuart Holmes for his Austin K6. 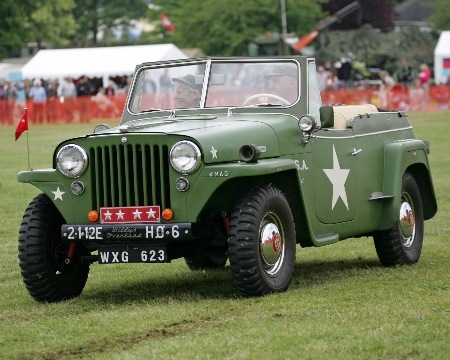 Best light post- 45 (sponsored by Barton Hall Hotel): Graham Beck for his Jeepster staff car, a vehicle most of us have only seen in photographs! 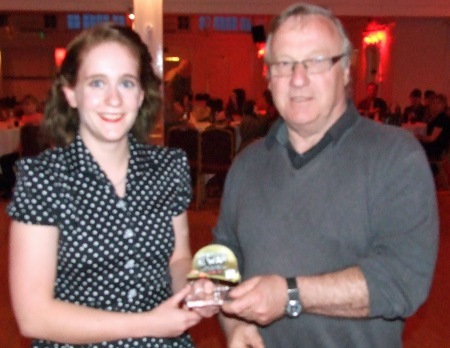 Best heavy post-45 (sponsored by the MVT): Jim Burton for his Bedford RL wrecker. Best motorcycle (sponsored by the MVT): Simon Bromley for his Moto Guzzi. 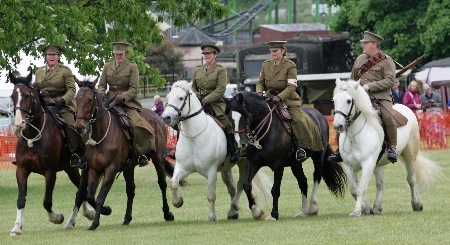 Best education/re-enactor (sponsored by Kettering Park Hotel): First Aid Nursing Yeomanry. 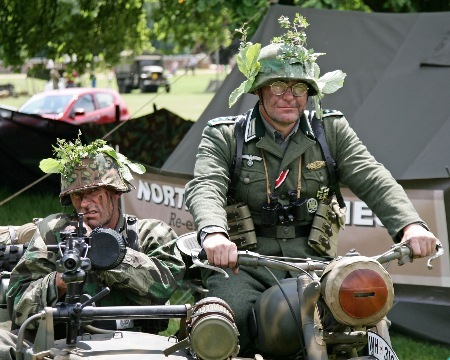 When it became clear that we would have lots of heavy armour at Wicksteed at War 2015, it was thought that specialist training would be a good idea. 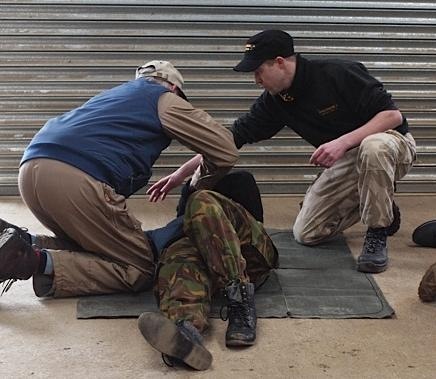 Our friends at Armourgeddon, at Husbands Bosworth, offered to help and, after some regular marshalling instruction using a Land Rover and first aid instruction, including CPR, a 432 was brought on. 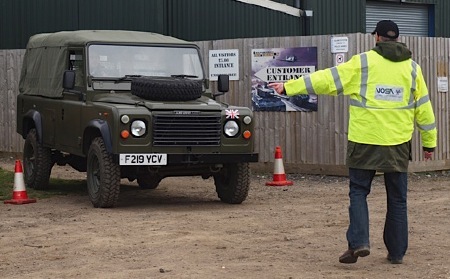 We had a demonstration of what could happen if the driver was a maniac or was poorly marshalled. The 432 made short work of some water melons before ending up with Guy Fawkes's less fortunate cousin wrapped around its tracks. It was a sobering lesson and made the marshals even more determined to make the show accident and incident free.
. . . and ends up wrapped around the tracks.